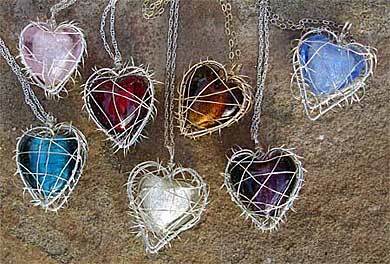 Handmade Heart Necklace For Women : LOVE2HAVE in the UK! A handmade heart necklace for women. 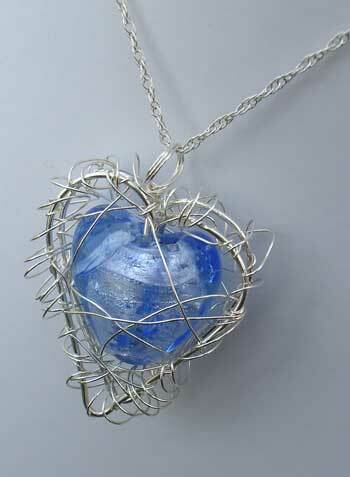 Here we have a hand sculpted sterling silver heart cage woven with a blue coloured Venetian glass inner. 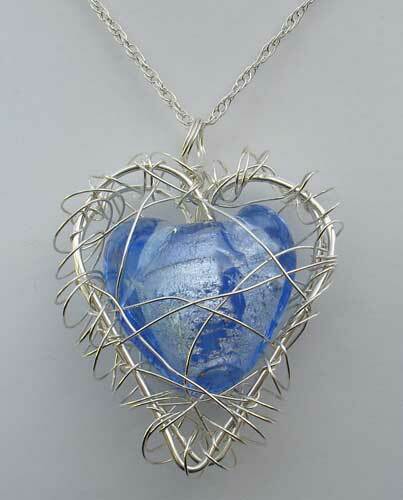 This piece is the larger version created with a beautiful, luxurious handmade Venetian glass heart. The heart measures approximately 20mm across, and the silver chain is 16 inches in length. Other lengths are available on request. Our silver heart caged necklaces have been popular making it a very distinctive and exquisite handmade necklace for women.